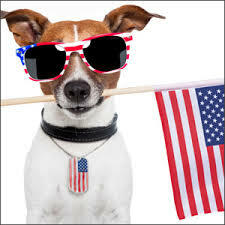 On July 4th, it is very tempting to want to treat your pet to some of the holiday goodies. Please be careful! Foods such as hot dogs, baked beans, rolls and pie can be harmful to pets. It is quite common for emergency animal clinics to be filled with dogs and cats suffering from a severe bout of pancreatitis during the holidays. If your pet is prone to pancreatitis, give them extra Lypozyme for improved fat digestion and use lower fat treats such as fish and vegetables.